What is the SEC, Glasgow? The SEC is the Scottish Event Campus, in Glasgow which is home to some of the United Kingdom’s biggest exhibitions. It has a potential of seating over 5 million. This is a huge platform for your business to get the recognition it needs, so make sure you’ve got the right staff there to bring in that footfall. Located in Scotland’s second largest city, Glasgow, makes the exhibition centre accessible to a wide range of potential clients and business. Trade shows at this venue frequently target over 340,000 Scottish businesses. SEC hosts over 50 events a year from exhibitions, trade shows and conferences. What staff do we provide at the SEC? 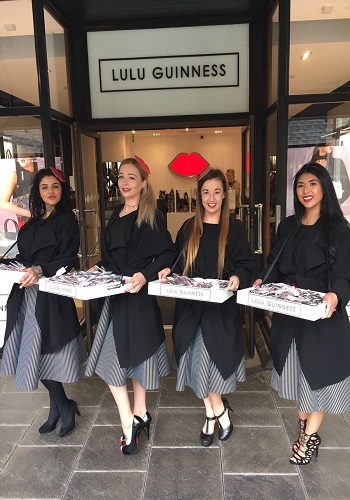 Promotional Models Scotland cannot just only you provide you with professional, experienced and attractive models, but also brand ambassadors, Flyering staff, event staff and much more. 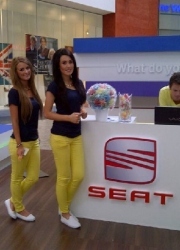 With Promotional Models Scotland we can provide you with the staff that you need, without worry. We deal with staffing every day and know exactly what is right for your event. Events that we could help you with this year! Need a caddy for this year’s Scottish Golf Show? We can help you get the right staff you need for the Scottish Golf Show. Do you need fun and enthusiastic staff? Have you got new and exciting products that need promoting? There are a range of fun activities available at the golf show and you may need just as exciting staff members to get your stand the same attention. Every year the SEC holds the Scottish hair and beauty show were professionals throughout Scotland attend to launch new and latest products in the beauty industry from hair, tanning and nails. You can have the opportunity in promoting your products. Get the right staff to help you do this. Need a model to use your product on? Need a brand ambassador to promote your product? Need Flyering staff to get footfall to your stand? Professional models Scotland have got you covered. Why use an agency to get staff? What makes Promotional Models Scotland the best agency to use? What can we offer that other companies can’t? 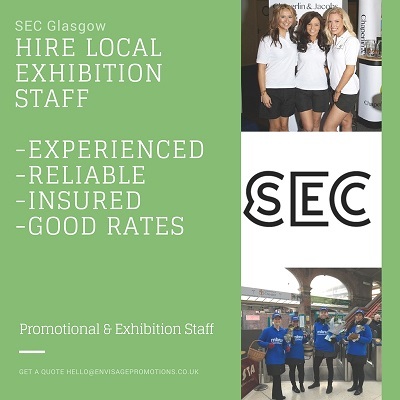 Getting your promotional staff from Promotional Models Scotland not only saves you the trouble of searching, briefing and selecting staff members but gives you the time to work on the more important bits. Do you have too much to do for the event? We will happily get involved and take the pressure off you. We are confident that we can provide you with the best local staff for your exhibition. At Promotional Models Scotland we have access to over 12,000 experienced, professional and loyal staff members that could be well suited for your event. Give us a call and let us know about your event and what staff you require!